Eulogized upon his death as “Oklahoma’s Mr. Philanthropy,” John Mabee and his wife, Lottie Jane, arrived in their adopted state in 1907. Coming via Texas, where Mr. Mabee worked in a meat packing plant and waited on tables in a hotel, the Missouri natives homesteaded 160 acres in what is now Cotton County. As a farmer, John Mabee met with little success, and delivered a rural mail route to make ends meet. His fortunes changed two years after his arrival in Oklahoma, when his homestead near Randlett was leased to Carter Oil Company. The leases in Cotton County proved to be just the beginning of Mr. Mabee’s career in the oil industry. Two phenomenal wells drilled in Burkburnett, Texas, in 1919 were the start of Mr. Mabee’s operations, which mushroomed until Mabee Consolidated Corporation was the world’s largest oil well drilling contractor. From his offices in the Atlas Life Building, Mr. Mabee’s business interests diversified to include banking, insurance, real estate and ranching (one Hereford cattle ranch near Midland was comprised of 110 square miles). Mr. Mabee’s second career was the business of philanthropy. Although he eventually held honorary doctorates from two universities, he admitted that his education went “only through the third reader.” His gifts to educational institutions throughout the Southwest would provide the educational resources he lacked to the next generation. In Tulsa, his generosity was boundless. A short list of institutions benefiting from his largess includes the Community Chest, the YMCA, Children’s Medical Center, Hillcrest Hospital, Boston Avenue Methodist Church and The University of Tulsa. Mr. Mabee’s business-like approach to giving money away led him to found the J.E. and L.E. Mabee Foundation in 1948. 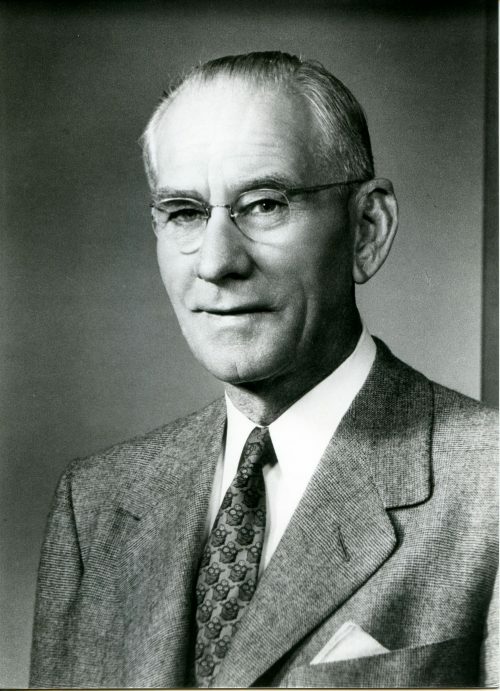 Through this foundation, Mr. Mabee’s generosity was sustained after his death in 1961, and his magic of turning oil into bricks and mortar continues today.